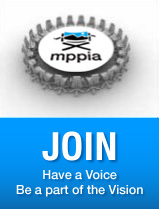 The Motion Picture Production Industry Association of British Columbia (MPPIA), Creative BC and the Whistler Film Festival are pleased to invite applications for the 2018/19 edition of the MPPIA Short Film Award. Application Deadline to Creative BC: 11:59 pm Friday, September 14th ,2018 . 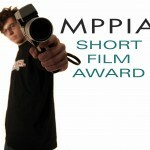 Established in 2007, the MPPIA Short Film Award provides one filmmaker with the opportunity to further develop his/her directing career by realizing a unique creative vision in a short film project. Applicants will be short-listed into a field of candidates who will pitch their projects at the 2018 Whistler Film Festival taking place November 29 to December 3. 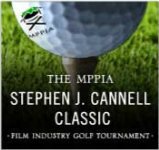 The successful candidate will receive a $15,000 cash award plus services ‘in-kind’ valued up to $100,000 from across the industry, enabling the filmmaker to complete his/her project with the guidance of experienced industry professionals and support services provided by the top supply houses in British Columbia. The completed film will have its world premiere screening at the 2019 Whistler Film Festival. Creative BC is an independent non-profit agency created by the Government of British Columbia in 2013 to build the capacity of BC’s creative sector. The agency has a mandate to support and strengthen BC’s film and television, interactive and digital media, music, magazine and book publishing industries both at home and in the global marketplace. The Whistler Film Festival Society (WFFS) is a cultural charitable organization dedicated to furthering the art of film by providing programs that focus on the discovery, development and promotion of new talent culminating with a must attend festival for artists, the industry and audiences in Whistler. WFFS produces one of Canada’s leading film festivals and plays a leadership role in offering professional and project development programs for filmmakers. The 2018 Whistler Film Festival runs November 28 to December 2, 2018.